Credit rating agencies (CRAs) are often found sleeping when they should catch the brewing financial troubles in the highly rated companies. From the debt default by a high-profile non-banking financial institution (NBFC) CRB Capital Markets in 1997 to more recently Amtek Auto, Ricoh India and IL&FS, there are plenty of cases when reputed companies have defaulted even as their ratings remained strong. 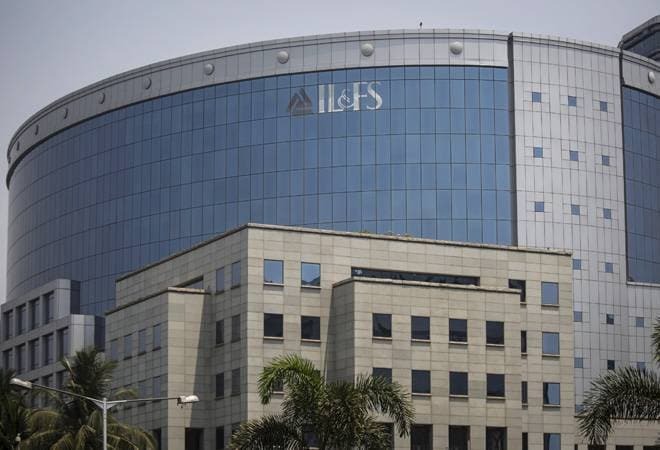 As the IL&FS fallout grew bigger putting at stake the stability of entire ecosystem, once again the spotlight is on business model of CRAs as to how it can be strengthened by dealing with blazing issues like rating shopping, non-rating business, competition, issuer pays model vs investor pays model and more. While Sebi's November circular on tightening the disclosure norms for CRAs will enhance transparency in the system, there are some inherent challenges that are yet to be tackled. The recent regulations have strengthened the disclosure norms around liquidity position of the company and parental support along with listing out all subsidiaries. Publishing their average one-year rating transition rate over a five-year period and treating sharp deviations in bond spreads of debt instruments vis-a-vis relevant benchmark yield as a 'material event' are two other important guidelines. Experts believe the new norms are quite positive, and well-conceived. Rating agencies welcomed the move, but says it will add on to their paperwork. "Some process would get mechanical. For example, if a company has multiple subsidiaries, we shall have to mechanically put that information. So, it will be a massive document now. One will have to look at the utility of it," says T N Arun Kumar, Executive Director, CARE Ratings. Somasekhar Vemuri, Senior Director, CRISIL Ratings says enhanced disclosures on parent support, approach towards consolidation and liquidity will give investors more clarity on the rating drivers and assist in their own analytics. Who should pay for ratings? The latest norms do not deal with the pressing debate around the 'issuer pays' model vs 'investor pays' model. The former does ensure that all stakeholders access the ratings for free, but negotiable rating fee and competition among CRAs promote the so called rating shopping, wherein issuer might refuse to accept the rating assigned to them and move to another rater that has the reputation of being lax for achieving a desired rating. The solution doesn't lie in investor pays model either. Not only would it make ratings unaffordable for small mutual fund houses and retail investors but also decrease CRAs' revenues on the back of 'free-riding'. This model also creates a bias towards CRAs giving lower-than-warranted ratings, so that investors would get a higher yield and investors may create pressure to avoid downgrades. Thus, less transparency and more information asymmetry. The third model to prevent rating shopping talks about regulators or exchanges paying for the ratings from investor protection fund. Vemuri says, this would give an impression that the rating is government-backed, thus holds a moral hazard. Besides, it would leave no incentive for raters to improvise their businesses. Clearly, doing away with issuer pays model is not simple, especially when the other two models have not been tested globally. Experts agree that regulators should let the market forces determine rating fee and CRAs on their part can create a strong firewall between the commercial and analytical businesses to ensure transparency. Kumar of Care Ratings denies that negotiable fee is an issue. He says issuers do not always manage to get good ratings. "Speculative grade ratings form nearly 72 per cent of the total rated entities and only 28 per cent are investment grade," he says. Since raters rely on historical data, the ratings do not give the updated picture. On asking if ratings indeed hold importance in investing decisions, Dhawal Dalal, Chief Investment Officer - fixed income - Edelweiss Mutual Fund says, ratings are an integral part of investment decisions. "Whenever we discuss a debt instrument, the first question would always be what the rating of the instrument is. Ratings provide an immediate level of comfort about perceived level of safety. Depending on who has rated the instrument gives another layer of safety," he says. Aashish Somaiyaa, CEO, Motilal Oswal AMC says historical data is not an issue. He advises CRAs should develop some early warning signals and more frequent reviews and calibration of ratings. "Weightage to factors like management quality, parentage etc should be lower and focus on near-term issues in the entity and its environment must be of highest importance," he says. The current rating process is such that all parameters from management, business, financials, and profitability to key ratios are summed up in 'three letter words'. A better way out could be the scale-based rating i.e. separately rating various parameters on a scale of 10, advises Dalal. "This will give market participants an idea about how the company is doing on each parameter, rather than everything being clubbed in one rating." Shailesh Haribhakti, chairman of Haribhakti & Co believes it is wrong to blame CRAs whenever a default happens. "It is not solely CRAs' responsibility to warn investors in advance about negative events. They are indeed doing quality of research. The insights that we get from their reports are outstanding. At best, they can provide you the trend with whatever data available, and investors can do their own due diligence, asking for information from the company before they invest in the same," he says. As the size of the bond market and the number of participants in that are increasing, the chances of defaults will only increase.The crux lies in understanding the risk faster. Thus, each entity from rating agencies, mutual funds to regulators would do well to continuously refine the checks and balances and regulatory framework. That said, Sebi's recent circular is a step in right direction.